Badminton Rules Doubles are pretty much the same as singles. However I get a fair number of questions on doubles rules. Here’s a page to solve all your queries! Serve to the gray area so that the shuttlecock falls INSIDE. 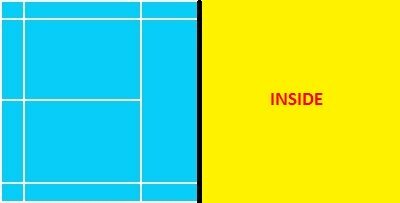 After the receiver retrieve your serve, you can hit the shuttle towards anywhere within the yellow area below. 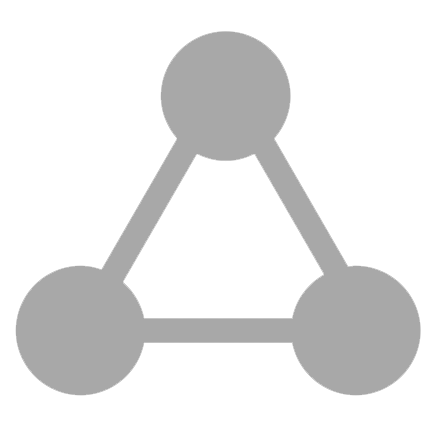 The Badminton Scoring System is commonly known as the 21 Points System or the New Rules. Who’s serving? Me or my partner? Always remember that a badminton game starts from your right hand side. I’ll give you an example. Both pairs have decided that you and your partner starts the game. You and partner decided that you deliver the first serve. The score is 0-0. Simple isn’t it? Alright let’s move on with TWO scenarios. 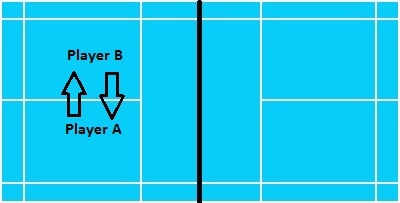 Let’s assume you are Player A; Your partner is Player B.
left hand side of the court to serve. You lose the first rally. Your opponent obtained 1 point and your score remains at 0. Since you’ve lost the rally, it’s Service Over for you. Your opponent will serve for the next rally. Say you and your partner win the next rally. So your side will serve for the next rally. The score is now 1-1. 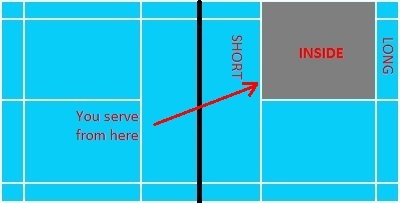 Since 1 is an ODD number, the serve must be delivered from the left hand side of the court. Remember you had a ‘service over’ during the last rally. So it’s your partner’s turn to serve from the left side (Player B move to the left side and deliver the serve). I’ll name some common Badminton Faults in doubles. One side has only ONE attempt to retrieve the shuttle. So it’s either you or your partner who is going to hit it. Even if you accidentally touch the shuttle with your racket, and then your partner hits the the shuttle, its still a fault. Only the Receiver Can Return the Serve. Let’s say you are the Receiver for a particular rally. So only you can return your opponent’s serve. Your partner cannot return the serve on your behalf. Service faults are more likely to be committed when you try to perform the Flick Serve and the ‘perfect serve’ (shuttle passing right above the net).